In the complex kitchen sink of fees AT&T has built up around the iPhone, with separate billing for phone minutes, text messages, and even AT&T Navigator, the obligatory unlimited data plan has been like a Swiss Army knife taped shut: Technically, it can replace many paid features – including voice functionality – but Apple’s strict rules for apps have prevented it from doing so. Slice that red tape and get ready to pop open the corkscrew, because those days are over. In late January, Apple has lifted its ban on voice-over-IP (VoIP) apps using AT&T’s cellular data network. In other words, the tunnel out of AT&T’s fee structure has been opened: You can now place calls through the Web without paying the company another dime for minutes. Wondering how to get started? 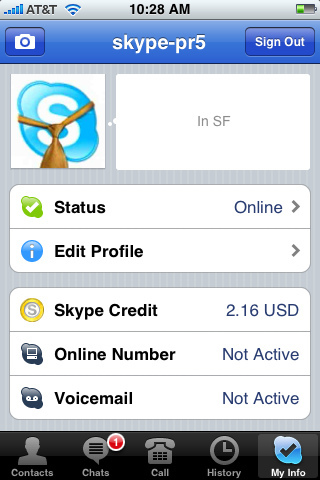 Here are a few of the best VoIP apps for the iPhone, along with rates. The same great app you know from the desktop has landed on the iPhone, and very soon, will allow you place calls over AT&T’s 3G network when you don’t have Wi-Fi. Unlike Google Voice, Skype actually charges a small monthly fee to place outgoing calls from the app, but in return, it won’t bite into your monthly minutes. You can get unlimited calls to the U.S. and Canada for $2.95 a month, to one country for $5.95, and to the world for $12.95. Like Google Voice, you can also place long-distance calls for bargain basement prices. Calls to Spain, for instance, will run you 2.4 cents per minute. 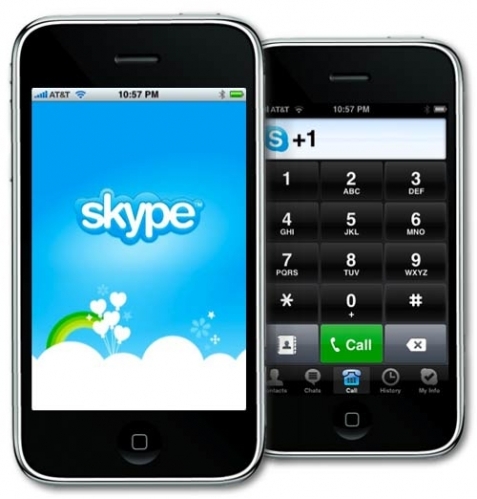 You can also buy a Skype In number (a phone number others can dial into to reach you on Skype) for as low as $30 a year, with the purchase of a monthly outgoing subscription. 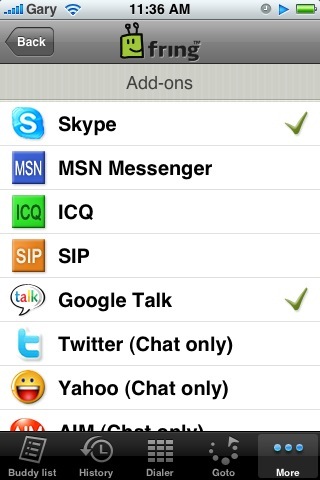 This all-in-one instant messaging client goes beyond simple text to offer two voice options: Skype and SIP. Skype will allow you to log in to your account and use the same options outlined above, but SIP (which is a protocol, not a service) represents a whole other can of worms. In order to use it, you’ll need to sign up with one of dozens of VoIP providers that support that SIP protocol and Fring, which you can find on Fring’s partners page. Get an account with one, like VoIPCheap, sign in with your details through Fring, then dial away at rates that make AT&T look like thieves. Google managed to burrow out from under Apple’s rejection of this Google Voice by putting it on the Web rather than in the App Store, which means that technically, this isn’t an app. But it works the same way. After signing up for a Google Voice account, you’ll receive a personal number allowing you to both send and receive calls through Google Voice. Unfortunately, numbers placed through the “app” actually have to be handed to the iPhone’s dialer, which quickly dials a local access number and puts you through to your intended contact, meaning it will deduct minutes. That said the access number is always local, so for international calling, Google Voice rates absolutely flog AT&T. Call to Spain on AT&T: $1.49 a minute. Call to Spain on Google Voice: 2 cents a minute. 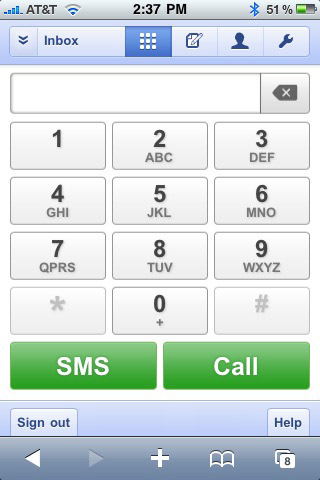 You can also send and receive text messages for free, and try cool features like voicemail transcription.